Dibrugarh University Recruitment 2019: Dibrugarh University / www.dibru.ac.in is conducting recruitment processes to fill 28 vacancies. As of now, there are two recruitment drives going on for 27 Teaching Posts and JRF Post. Dibrugarh University Recruitment 2019 - Job notification for 27 Teaching Posts in Dibrugarh University, Dibrugarh, Assam. Applications are invited by Dibrugarh University on or before 26 Apr 2019 for 27 vacancies. Dibrugarh University Recruitment 2019 - Job notification for JRF Post on a project entitled "Detection and Mapping of Insecticide Resistance in wild Aedes population in Upper Brahmaputra valley of Assam" in Department of Life Science, Dibrugarh University, Dibrugarh, Assam. Applications are invited by Dibrugarh University on or before 22 Apr 2019 for 1 vacancy. Dibrugarh University Recruitment 2019 - Walk in for Project Associate Post on a project entitled “ISRO GBP Environmental Observatories Project” in Centre for Atmospheric Studies, Dibrugarh University, Assam. Candidates are invited by Dibrugarh University to attend walk-in-interview to be held on 08 Apr 2019 at 11:00 AM for 1 vacancy. Dibrugarh University Recruitment 2019 - Job notification for JRF Posts on a project entitled “Observational and modeling study of the Equatorial Ionization Anomaly (EIA) along 95ºE meridian” in Department of Physics and Centre, Dibrugarh University, Dibrugarh, Assam. Applications are invited by Dibrugarh University on or before 31 Mar 2019 for 2 vacancies. Dibrugarh University Recruitment 2019 - Job notification for JRF Post on a project entitled “Designing PEPPSI-type palladium N-heterocyclic carbene complexes and their immobilization onto support for multifunctional catalysis” in Department of Chemistry, Dibrugarh University, Dibrugarh, Assam on Temporary Basis. Applications are invited by Dibrugarh University on or before 23 Mar 2019 for 1 vacancy. Dibrugarh University Recruitment 2019 - Job notification for JRF/ PA Post on a project entitled “Development and Synthesis of Binary Metal Chalcogenide and Alloy Nanoparticles as promising Heterogeneous Catalysts for Industrially Important Organic Reactions” in Department of Chemistry, Dibrugarh University, Dibrugarh, Assam on Temporary Basis. Applications are invited by Dibrugarh University on or before 22 Mar 2019 for 1 vacancy. Dibrugarh University Recruitment 2019 - Job notification for JRF/ PA Post on a project entitled “Development and Synthesis of Binary Metal Chalcogenide and Alloy Nanoparticles as promising Heterogeneous Catalysts for Industrially Important Organic Reactions” in Department of Chemistry, Dibrugarh University, Dibrugarh, Assam. Applications are invited by Dibrugarh University on or before 22 Mar 2019 for 1 vacancy. Dibrugarh University Recruitment 2019 - Walk-in for Assistant Professor - Department of Mathematics in Department of Mathematics, Dibrugarh University, Assam on Contract Basis. Candidates are invited by Dibrugarh University to attend walk-in-interview to be held on 13 Mar 2019 10:30 AM for 1 vacancy. 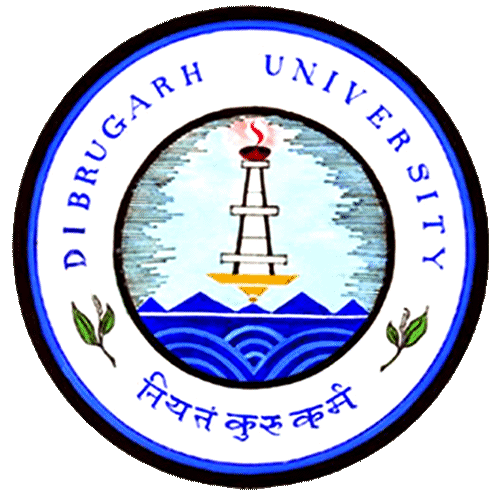 Dibrugarh University Recruitment 2019 - Walk in for Assistant Professor Post - Dept of Education in Department of Education, Dibrugarh University, Assam on Contract Basis. Candidates are invited by Dibrugarh University to attend walk-in-interview to be held on 11 Mar 2019 10:30 AM for 1 vacancy.